Last March, Apple's services chief Eddy Cue shared information about the acquisition at the SXSW media festival in Austin, Texas. Texture, a subscription-based digital magazine app that provides unlimited access to over 200 digital magazines for $9.99 per month, is being integrated within the Apple News app. Texture currently provides access to popular magazine titles such as National Geographic, GQ, People, Vogue, Maxim, Wired, Sports Illustrated, Bloomberg Businessweek, ESPN The Magazine, Entertainment Weekly, Rolling Stones, Men’s Health and more. The service will likely boost Apple’s service division while offering a cut to publishers, and function in a way similar to Apple Music but be focused on magazines and news. 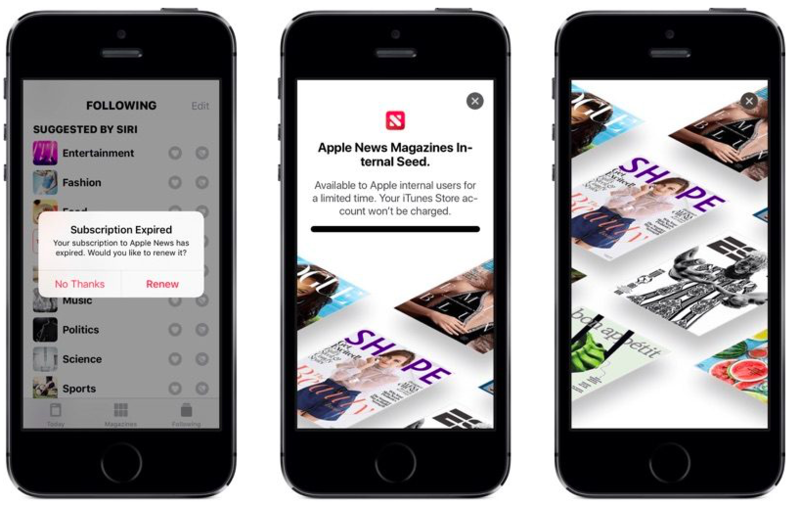 The new magazine features are expected to complement ad-supported content within the Apple News app. Apple News is currently available in the U.S., U.K., Australia and Canada. At Elf, we are launching our Elf channel on Apple News this month! We’ve been working on it for a while, and we hope you will love it. Our channel is ad-free. We provide high quality journalism and editorial content, gorgeous imagery and compelling photography.